Whitson Vision Providers Luis E Colón, M.D. Knowledgeable board-certified ophthalmologist, Luis E. Colón, MD, believes every individual deserves to be treated with respect, attention, and compassion. At Whitson Vision in Indianapolis and Avon, Indiana, Dr. Colón is highly committed to providing the best possible tailored treatments and incorporating the latest advances available in the medical field of ophthalmology. Dr. Colón obtained his undergraduate and medical degree from the University of Puerto Rico before completing an internship in internal medicine at the Madigan Army Medical Center in Washington. He acquired his ophthalmology residency at the Fitzsimons Army Medical Center in Colorado while serving in the U.S. Armed Forces. After satisfying his U.S. Army commitment, Dr. Colón finished an apprenticeship in oculoplastic and reconstructive surgery with the experienced oculoplastic surgeon, Richard L. Anderson, MD, at the University of Utah Medical Center. Dr. Colón is a member of the American Society of Cataract and Refractive Surgery, the Society of Military Ophthalmologists, the American Academy of Ophthalmology, and the Indiana Academy of Ophthalmology. Since 1993, Dr. Colón has been providing eye care in Indiana. 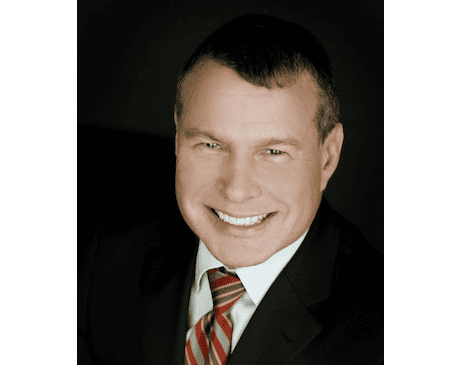 For over 18 years, he was partner and co-owner of Eye Physicians Inc. in the North Central Indiana area where he practiced comprehensive ophthalmology and offered medical and surgical eye care. Countless hours in the operating room have allowed Dr. Colón to polish his skills in performing successful and effective eye surgeries. He has a special interest in refractive cataract surgery, intraocular lenses for correcting presbyopia, dry eye treatment, macular degeneration, and the correction of eyelid aging changes via Botox® and surgery. He performs laser treatments for diabetic retinopathy, secondary cataracts, and glaucoma. In January of 2012, Dr. Colón joined Whitson Vision and soon fit in comfortably with the close-knit medical group due to his kindness and friendly, easy-going manner. He is also fluent in Spanish and English. With a personalized approach to health care, Dr. Colón zones in on the unique needs of each patient and spends ample time creating the right treatment plan for optimal vision health. He is currently welcoming new patients.